The ability to manage large amounts of data has never been more important than it is today. Data-management functions are critical to a company’s success, which is why it’s so surprising that most businesses are so far behind. Studies have shown that on average, less than half of a business’s structured data is used for making decisions. What’s even more shocking is that 1% of a company’s total data is structured, to begin with. That means that they are not even using 99% of the data they have available. Another shocking fact is that more than two-thirds of employees have access to more data than they should. It’s no wonder that leaks are common in the business world. Finally, 80% of all data analytical time is spent discovering and preparing data. With all of these facts known, why would businesses choose to ignore so much potential game-changing data? The truth is that either they don’t understand the impact, or are stuck in the past, unwilling to change their mindset. To keep from falling into the same trap, it’s important that you develop a strategy for data management. Having an expert team in place is a good start, but without a plan to follow then even that won’t be enough to put you ahead of the game. 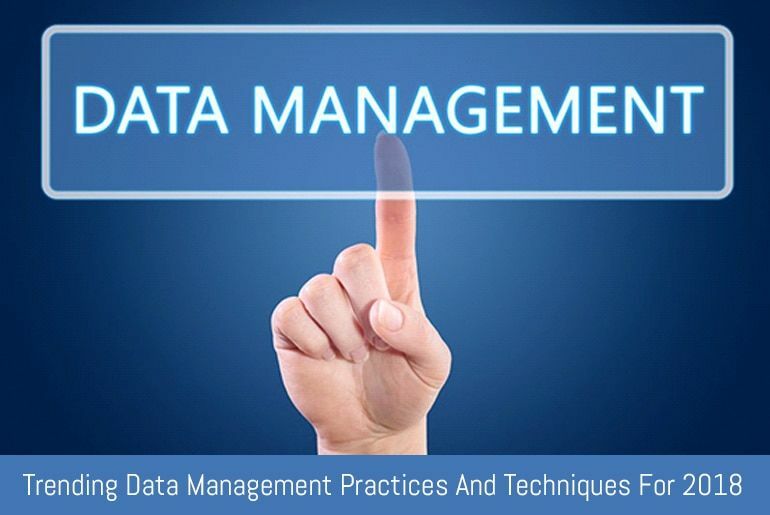 This post will walk you through some of the best data management practices. First and foremost, it’s important that you understand the difference between information and data. Information: Data that is relevant and has a purpose. Data: Data that’s still in its rawest form. Some examples include customer retention rates, sales figures, and overhead costs. For example, sales figures alone are not very useful because they are still raw. However, if you compare those figures with historical figures, then you transform that raw data into relevant information. The goal here is to transform raw data into information. This can be done through the following steps: Step 1: Identify important areas for growth in your business. Step 2: Find data that is relevant to any areas listed in the previous step. Step 3: Design a system for using that raw data to provide valuable information. Above, we compared present and historical sales figures for insight. However, you might want to focus on customer retention. So, you could compare customer retention with your social media marketing to provide insights into the ROI of your social media marketing investments. Step 4: Make sure that you are consistent with your practices. Put a system in place and then follow through with it for at least three months before making any major adjustments. Until you have your data in a usable format through some form of a transformative process you will just waste countless man-hours and computer processing time trying to find order from the chaos. With a proper data management strategy in place, along with a proper project plan and roadmap, your project will be able to progress and you will be able to stay on time and under your project’s budget. I am David Andersan, one of the leading professionals, who have the experience and knowledge of all outsource data entry services. Right from providing XML Conversion services, DEO’s conversion services to data mining, data cleansing, image processing, eBook conversion, electronic document conversion, and even SGML conversion, almost every data related services are offered by him. Besides this, he is a technology freak and loves to explore latest technologies and gadgets, whenever possible.